If you go to the Google Analytics home page you will see a new section for the enterprise clients that says Google Analytics 360 Suite. 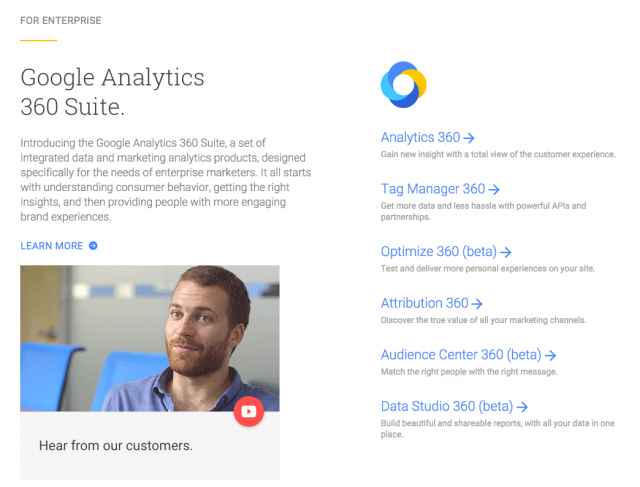 It seems Google has replace there Analytics Premium platform and is replacing it with Google Analytics 360 Suite. I do not see any official news about it yet but I am not the only one who is seeing it. @iamkosmonaut spotted it as well. Google Analytics 360 Suit, according to google, is "a set of integrated data and marketing analytics products, designed specifically for the needs of enterprise marketers. It all starts with understanding consumer behavior, getting the right insights, and then providing people with more engaging brand experiences." You can learn more about it at this page. Update: Here is Google's official post which went live 11 minutes after this post.